Mother's Day In Panama. Is It Collective Guilt? 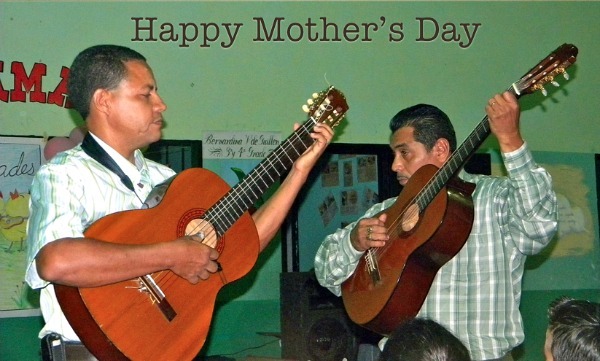 Today is Mother’s Day in Panama. The whole country takes it off. Government offices are closed. Everyone is off work. Women are awakened at about 4am by being serenaded in the street. To me – at this moment – it seems a punishment to be awaken in this way. A band gathers in the back of a pickup truck and plays music for all the houses that have pre-paid for the honor. Loud music. As you imagine, you can hear the music pretty well even if you didn’t request the 4 am wake up. We don’t get these traveling typica bands in our small and quiet neighborhood. But when we lived in the densely populated San Jose neighborhood we experienced it. Actually, it was kind of fun to see and hear it. A cultural experience. Maybe I would grow to love it. Maybe. As my sister once told me, it is collective guilt over their treatment of women that makes some countries make a big deal out of mother’s day. Did I mention that Mother’s Day is a National Holiday in Panama? That is alot of guilt.